Hand-picked recommendations of the world's best product designs from UBER Interiors. 7,000+ luxury furniture and lighting products online curated from the leading brands by an esteemed team of residential interior designers and bloggers. Inspirational items from showpiece future heirlooms to everyday chic. One of the UK's most inspirational showrooms. At NuCasa we search throughout Europe to bring you a fantastic selection of colourful kitchenware, funky kitchen accessories, quirky home decor, and unique lighting styles. By hand picking our products from selected independent retailers and larger suppliers we create a selection of home decor accessories that are perfect for anyone who is looking to create a colourful, vibrant decor with touches of retro and vintage styling. We aim to bring together a range of unique, awesome products under one roof so when you think funky home decor, you think NuCasa. 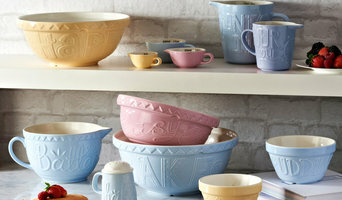 Our selection of kitchen, bathroom and home accessories is ever expanding and we are adding to it every week. So keep checking in for the latest products! 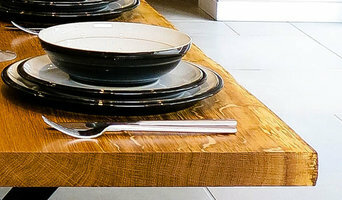 Natural Edge Designs take inspiration from the natural beauty of the live edge slab. I am motivated by salvaging trees and creating one of a kind, heir loom quality furniture that is both stunning and functional. From ‘forest to home’ live edge slabs provide the beauty and expert craftsmanship results in completely unique, functional statement pieces. I am an independent artisan using traditional woodworking skills to make bespoke, custom made furniture. The majority of pieces are custom made. Working closely with clients to design and create the perfect piece to match your requirements. All species of wood are responsibly sourced. Metal bases that contrast the wood offers an industrial, contemporary look. Wooden bases can be expertly crafted. In addition to tables we can create any live edge furniture. Including island tops, vanity units, breakfast bars, benches, shelves and more. In addition to the bespoke service there are products available to purchase in the shop. We specialise in applying imagery to various surfaces using an array of industrial techniques to create a range a high end furniture and home furnishings. Our bespoke services offer choices on Size, woodstains, imagery, colours and components. 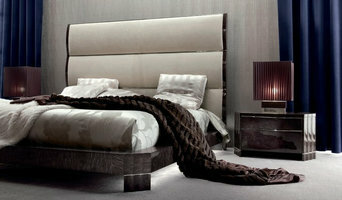 We are suppliers of contemporary designer interiors and lighting. We are family owned and run established since 2003, with an emphasis on interiors brands that you’re less likely to find on the high street. Our customers are generally searching for something a little different. They value our attention to detail and outstanding levels of customer service. We have a flagship showroom in Preston, Lancashire, where you can view our products and always receive a warm welcome. ROOM 356 (FOUNDED BY MOTHER AND DAUGHTER TEAM CASSIE + BEV) IS A HOME AND LIFESTYLE STORE, OFFERING UNDERSTATED AND UNIQUE HOMEWARE, LIGHTING, LIFESTYLE + GIFT ITEMS. The ‘Name’ is where it all began when we opened our lifestyle store in October 2014: 356 being the number of the address of our retail property. The dream was to create an online store and retail space with a special and unique identity. We wanted to offer you the ultimate shopping experience, and to make each and everyone of you feel valued. As a Room 356 customer you really are at the heart and soul of our business. 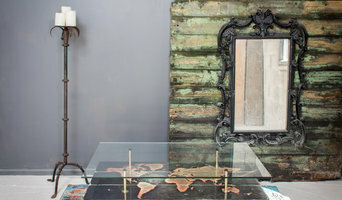 The space in our store has been thoughtfully laid out and each of our collections carefully selected with you in mind. We have a paired-back minimal aesthetic offering products that that are understated and at the same time beautiful and timeless. We love discovering exciting new items to add to our stylish collections. We choose homeware, lighting, lifestyle and gift items which will enhance your home and complement your individual lifestyle. Above all we want to offer you products which exude good design and originality. Here at Room 356 we have a real appreciation and wish to support smaller businesses and creatives. The people who set up these companies put so much of themselves into creating incredible items that will stand the test of time. We also love to source products from around the globe, offering contemporary style and quality. Each and every order is lovingly wrapped in our bespoke 356 packaging. We also offer complimentary gift wrap, making each purchase extra special. Baa Stool is here to make people smile when they walk into a room. We do this by creating stylishly quirky furniture using real British sheepskin. The aim with Baa Stool is to make practical, functional pieces of furniture that can fit in anywhere but still have a real wow factor. The result is a range of quality, unique and contemporary sheepskin furniture that compliment modern and period interiors equally. All our footstools and chairs are lovingly handmade and upholstered in luxurious sheepskin in our traditional cruck barn workshop in North Wales, UK. The British sheepskin covers are removable making our footstools, stools and chairs practical as well as stylish. We hope you can find the perfect footstool for your home. 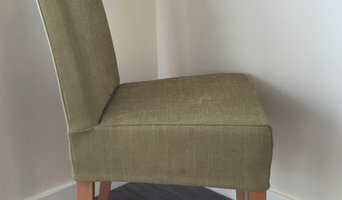 So please browse our range of ready made footstools and pick your favourite style and colour. The Furniture Market was founded by Adrian Latham in 2004 and has since grown to become one of the largest Oak, French and Modern furniture retailers in the UK. Highest Quality Luxury sofas and Chesterfields in UK. Bespoke sofa designs made in extremely fast time. We are able to produce over 10, 3 piece sets within 1 working day. We use high quality Italian Leather, Top Range Velvet Fabrics. For individual designs we also use Swarovski Crystals and Mirrors. DesignerSofas4U was established as an online furniture retailer in 2007. Following an unprecedented response to the service we offer, we’ve built an excellent reputation as a quality retailer that’s projected to become one of the UK’s leading online furniture stores within the coming 12 months! Our success is firmly rooted in the 20 years of experience DesignerSofas4U holds within the industry. We’ve not only survived as a business, but we’ve flourished – even through the recent economic recession. This is because we treat every customer as though they’re family; our particular brand of personal customer service, teamed with the high standards of hand made furniture and value for money we offer guarantees a service like no other. We have too many happy customers to count, and we’re always adding to the list. Our DesignerSofas4U website offers an eclectic selection of furniture pieces to browse without the need to visit our showroom – though if you prefer to shop by looking at our range of furnishings in the physical world, you’re more than welcome to visit us at our Blackburn showroom. Why should I use a Liverpool, Merseyside furniture designer or home accessories professional? Think about what pieces you need or what your vision for the overall look of the room is. Do you have very specific ideas for what furniture you’d like or do you just know the colour palette or the basic type of furnishings and accessories you want? If you have very specific ideas it could be an option to look at Liverpool, Merseyside bespoke furniture designers and makers. They will work with you to produce one-of-a-kind pieces to make your ideas come to life. Otherwise, it’s a fantastic idea to hire a Liverpool, Merseyside home furnisher to help you choose furniture and accessories to work with your interiors. Professionals with years of experience will have a great eye for picking out the right pieces based on your brief and your room design, saving you the time and stress of hunting down the pieces yourself. However, when not constrained by time, some homeowners can really enjoy the furniture hunting process. Tracking down unique or vintage home furnishings from furniture manufacturers, retailers, car boot sales, showrooms, auctions and home furnishing stores in Liverpool, Merseyside can be a real thrill, especially when you find exactly what you were looking for or perhaps something completely unexpected but brilliant nonetheless! If your budget can’t stretch to bespoke, designer or professional-picked pieces, this is also the best and most convenient option. Try browsing through the collections from a furniture manufacturer to see if they have any styles you like, or scour secondhand furniture shops and auction houses if you’re after something with a history. It’s not all about the furniture, though. Your home accessories can provide the finishing touches to any room in the house. Table lamps, plants, cushions, rugs, candles, ornaments, artwork and picture frames are just a few of the accessories you can use to round off the style of your room and add personal touches. It’s easy to find ideas for these smaller furnishings with plenty of Liverpool, Merseyside home furnishing stores and their products listed, as well as the furniture designers, manufacturers and makers. Find Liverpool, Merseyside furniture designers and accessories manufacturers, showrooms and suppliers on Houzz. Narrow your search in the Professionals section of the website to Liverpool, Merseyside furniture and accessories, then choose the nearest area for showrooms and retailers. Or you may want to look through Liverpool photos to find furniture designs you like and contact the furniture manufacturers and showrooms directly.